Asus today announced four new launches across product categories and showcased a variety of other products that it says will be coming to India over the course of this year. 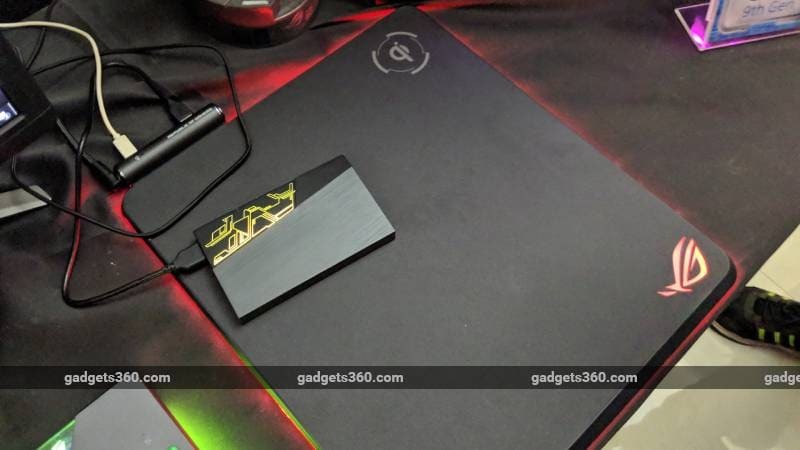 With a focus on lifestyle and gaming, the company has introduced its RT AX88U and Ai Mesh AX6100 Wi-Fi 6 (802.11ax) routers, ROG Delta gaming headset, and TUF Gaming GT501 PC cabinet, all of which will go on sale in India in April or May. The other products shown range from PC power supplies and motherboards to an RGB LED-infused hard drive and mousepad. The new Asus RT AX88U router is a 4×4 dual-band 802.11ax router with four antennas and eight Gigabit Ethernet ports. The emerging 802.11ax standard, now known as Wi-Fi 6, promises better handling of denser networks, better stability, faster data transmission, and better battery life for connected devices. This router has integrated commercial-grade Trend Micro security software to help block security threats for your local network, and can prioritise gaming traffic. It is even compatible with Asus’ Ai Mesh technology so you can easily chain multiple units together to expand coverage. The Asus RT AX88U is priced at Rs. 28,000 and will be available in India starting from April. Next, the Asus Ai Mesh AX6100 is a set of two Asus RT AX92U routers. These also support Wi-Fi 6 (802.11ax) and are claimed to be able to cover up to 5,500 square feet with reliable Wi-Fi reception. These routers also feature device management controls and parental controls in their software, which can be managed through a smartphone app. The two units can use Wi-Fi 6 or Ethernet to communicate with each other for additional flexibility. The Asus Ai Mesh AX6100 set will go on sale in India in May, priced at Rs. 25,000. The TUF Gaming GT501 cabinet expands Asus’ TUF brand into a new product category in India. This cabinet is large enough to support EATX motherboards, and has a tempered glass side panel to show off multiple RGB LED components, including a PCIe graphics card mounted vertically, and three pre-installed RGB LED 120mm fans. It has two handles with woven cotton grips. There are mounting holes for a liquid cooling reservoir, and radiators of up to 360mm in size can fit. The TUF Gaming GT501 will cost Rs. 12,500 plus taxes when it goes on sale in April. The ROG Delta gaming headset features an ESS 9218 DAC and features RGB lighting on both earcups. It uses a USB Type-C connector so that it is compatible with smartphones as well as desktop and laptop PCs. According to Asus, its optimised drivers help to separate highs, mids, and lows, reducing interference for clearer audio. The ROG Delta will go on sale in April for Rs. 15,000. Among the products expected to be introduced over the course of 2019, the Asus ZenBeam S2 short-throw portable projector weighs just under 500g and can project a 720p image that can get up to 120 inches in size if you adjust the distance. It also has a 6000mAh battery so it can be operated without a power source and also charge your phone. It features HDMI and DisplayPort over USB Type-C for inputs, as well as wireless mirroring for smartphones. The ROG Baltius Qi is a wireless charging mousepad optimised for gaming, with RGB LED lighting. Asus also showed off its Asus FX external 2.5-inch hard drive, which it says is the world’s first to feature RGB LED lighting effects. The company is also introducing more PC components, with its ROG Thor power supplies in 850W and 1200W varieties. These power supplies feature OLED screens showing real-time power consumption, and of course, RGB LED lighting. The ROG Ryujin 360 CPU cooler features fans from Noctua and an embedded fan in the pump housing to blow air across the motherboard’s voltage regulators. Finally, the new Asus Expedition motherboard series will serve as entry-level options for AMD’s Socket AM4 platform. Pricing for these products will be announced as they are launched.